Why do I love these commercials? People don't like to be sold to, but they do like to learn something. 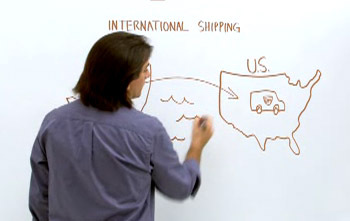 When I watch these ads my perception is that I'm learning -- the whiteboard reinforces that perception. It's brilliant.